The evening walk back from Su Gong Ta was punctuated by small motocycle and donkey carts returning from pruning the grape vines. 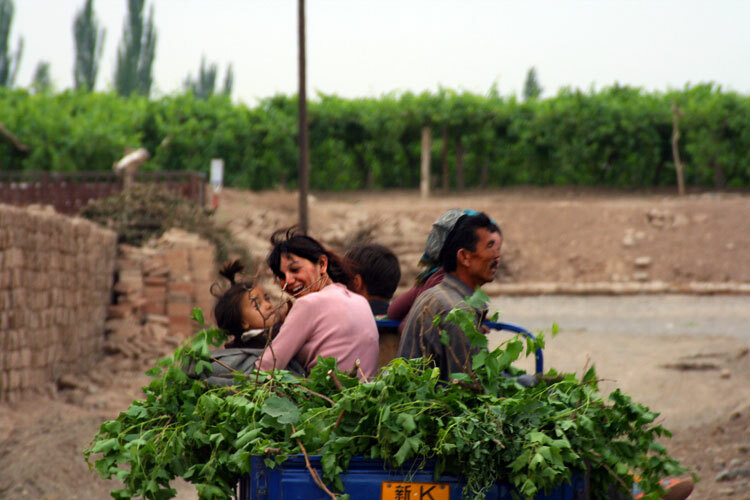 The smiles in Xinjiang? To kill for.